A massive thank you to everyone at HSS Hire, a number of their employees will be going the extra mile to help us fund and support community activity across Greater Manchester. Many of those listed above are well into their training now, with some hitting the gym 4 times a week in preparation. 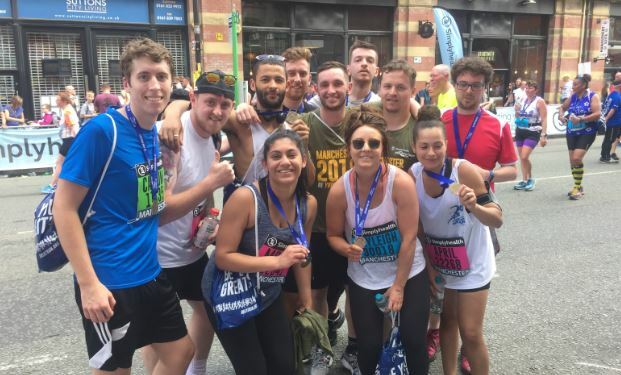 They are of course no strangers when it comes to fundraising for us, back in May their staff raised over £3000 at the Manchester 10k and we are delighted they are stepping up again. 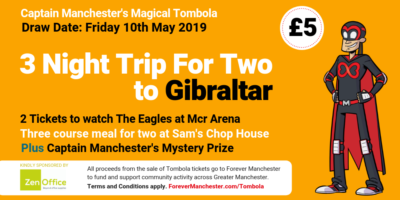 You can support their efforts by clicking the button below and donating,they are taking on this challenge for Forever Manchester because they believe in local people doing extraordinary things together. Nice one! If all of this inspired you to do something to help us fund and support community activity across Greater Manchester, why not download our fundraising pack?